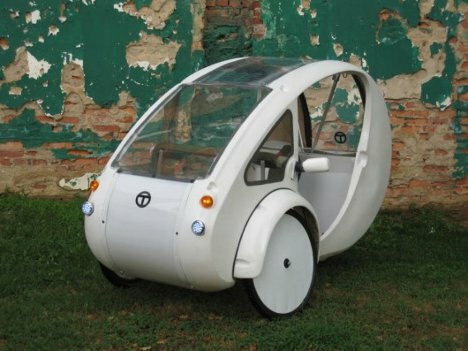 This tiny three-wheeled vehicle combines the best features of a bike and an electric car. 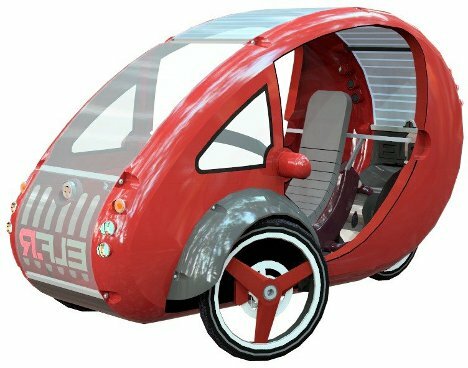 The ELF can be pedaled like a bike and also features an electric assist motor that is powered not by fossil fuels, but by the sun. Leave it in a sunny spot for long enough and the battery will charge fully. But not to worry – on cloudy days, the ELF can also be charged via a plug. The included battery pack will last for around 30 miles per charge, but users can extend the range by choosing to pedal instead of utilizing the motor. The aluminum frame only houses a single seat, but there is enough cargo room for about eight bags of groceries. The three wheels – two in front and one in the back – are 26-inch mountain bike wheels. The entire ELF only weighs around 100 pounds and is technically classed as a powered bicycle in the US. 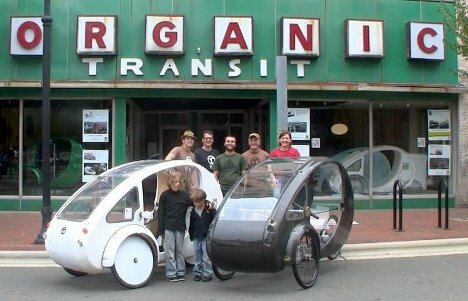 Organic Transit, the company behind the ELF, is raising money for an initial production run of the tiny vehicles on Kickstarter. Production models should cost around $4000, much less than even its least expensive competitors. It has a top speed of 20 MPH and a gas mileage rating equivalent to 1800 MPG. See more in Mods & Custom or under Transportation. December, 2012.